*a lot of this content has been collected from what we’ve learnt or read from people with more experience. Sorry if you recognise your own ideas here! Our idea of mission has changed dramatically in the last few years; if you’d asked us ‘what is your mission’ two years ago we would likely have replied that I was to take Jesus to as many people as possible. We might’ve told you about the need to be creative in our methods and engage with the times. Let me tell you a story that demonstrates the cracks in this definition! We have a playmobil nativity set that is played with at Christmas. It has all the characters (plus a few extras) and is definately a Fletcher favourite. Last Christmas when it was time to pack away the decorations we filled a shoebox with special things that we would take out to Bangkok with us to keep up family traditions in the heat this Christmas. The playmobil shepherds and wisemen made it into the box along with Mary and Joseph, some angels and a playmobil pirate wearing a Santa hat. But Jesus was missing from the manger. Eventually someone owned up that the tiny figure just 2cms in length had fallen inside our Ikea daybed. We would have to take it apart and that job was fairly low on our list of priorities! We forgot until some friends visiting from Bangkok offered to take a suitcase of our belongings back with them. We sent the Christmas box on ahead saying ‘don’t worry, I can bring Jesus in my pocket’. Since then ‘bringing Jesus in my pocket’ has, for us, come to stand for the biggest misunderstanding or pitfall of ‘mission’. Jesus is at work in this broken world, there is nowhere that is yet to be reached by him and he invites us to join him in places we would never venture to on our own. He is already in the slums and the remote hill-tribe villages. He is already in the council estate and the prison and countless hostile places that we bring to mind. Maybe it would take time to recognise him but he is there and he is known. When we recognise that Jesus doesn’t need us to build his kingdom but instead chooses to let us be part of his big mission in the world we start to view things differently. We stop seeing ourselves as ‘carriers’ of the Gospel and grow into our true identity as receivers. This frees us to recognise Jesus in new ways and point others to Him as equals. These verses simultaneously reveal the vastness of God’s plans for restoring this world and the simplicity of his approach. Mission is perhaps simpler than we make it; meeting Jesus at the margins and keeping in step with the work of his Spirit. Far from bringing Him to people our work can often be helping others to make sense of their encounter with him. Being signposts if you like. And where better to start than exactly where God has placed us. Calling is significant but so is journeying. 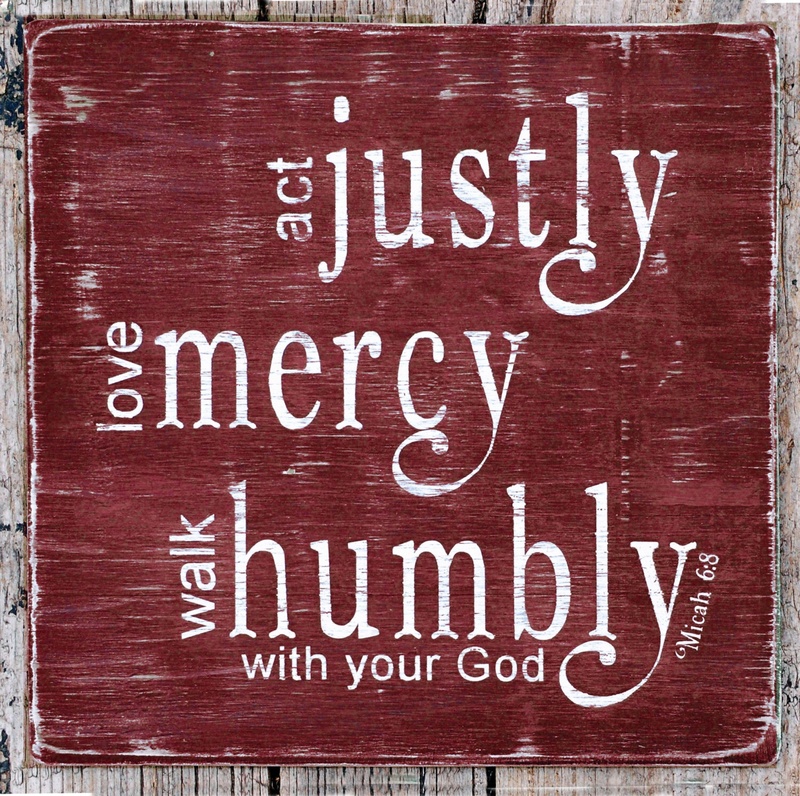 When we try to ‘act justly, love mercy, walk humbly’ we find ourselves pulled in the directions of the margins. This excerpt from the C of E ordination service sums it up brilliantly: ‘They are to work with their fellow members in searching out the poor and weak, the sick and lonely and those who are oppressed and powerless, reaching into the forgotten corners of the world, that the love of God may be made visible.’ This approach can’t be programmed neatly into a church diary but it can build heaven on earth one restored life at a time. The image of a target has been helpful for us in understanding Jesus’s particular concern for and solidarity with the poor and marginalised. Think about the way power is distributed on a global scale. The centres of power are actually very small. Where there is greater choice, influence, wealth and access we find a relatively small concentration of people. In general those at the centre have the loudest voice and dictate the status quo. Spiritual need is seemingly less acute because of the illusion of control. Moving out through the concentric circles we reach the margins of global society. Here we find the opposite pattern; very little choice, influence, wealth, access etc afforded to the largest number of people. Though more people share this space we hear less from them so easily discount their viewpoint. This image could be used on a smaller scale too perhaps representing our country, town, workplace or even our own circle of contacts. When we begin to plot who Jesus spent time with on Earth it’s very clear that he didn’t minister from this centre but from the margins. Tax collectors, fishermen, prostitutes, lepers, children, widows could count themselves among his friends. We were surprised recently to be shown on a map that most of Jesus’ ministry happened in backwater towns and villages often travelling through the borderlands when it was time to move on. This was where those who were outcast by disease or crime were permitted to live. A place to be avoided, these borderlands were actively sought out by Jesus. At the margins we still find a particularly dense concentration of darkness and despair characterised by a lack of freedom to live as Jesus intended. Life must look very different from this viewpoint. With hindsight we know that Jesus life and death have changed the world… its easy therefore to reconstruct Jesus as a highly respected teacher breaking into the centre of his society and using his influence to shape the future. But Jesus had friends in all the wrong places as well as the right ones! He chose to come to us physically, as a helpless baby confined to a particular time and place in history. A carpenter’s son from Nazareth, he ruled himself out of acceptance at the centre of his society let alone the rest of the world. His strategy for mission was not to make big waves in the places of power but to create ripples of change at the margins. Are you getting the sense that Jesus challenges the ‘top down’ approach to change? And what did Jesus do that caused a stir on the margins? I think the key is in the very physicality of his incarnation. He didn’t commute from Heaven, retreating back to the comfort he was accustomed to when life on the margins got too hard or unfamiliar. I’m sure parts of Jesus’ 30 years on earth must’ve been extremely boring and the pull back home felt overpowering at times. Being present with others in body, sharing space as well as ideology seems much too simple to be a mission strategy but it is the distinguishing feature of Jesus’ Incarnation. Real relationships across cultures take time and commitment and compromise on our part. As someone who happily hops between locations I am challenged to see out lasting change that might take years and decades. You should each have been given an elastic band. Give them a good stretch if you haven’t already! My prayer is that in partnering with Jesus he stretches us wide. That when we move beyond our position near the centre of power and privilege to seek out the needy, when we reach the barriers of comfort, safety, familiarity that we’ve spent years putting up, we will keep stretching. If you are unfortunate enough to have a band that snaps then that reminds us that sometimes we will reach the end of ourselves and break. The instinct is to retreat to familiar ground assuming we have failed. But if we stay out of our depth long enough for God to rebuild us we find we are stronger and have more stretch! Neither of us can give you a personal example because it hasn’t happened to us yet but I fully expect it will. When we let go of the stretched elastic it pings back. Learning to fight that instinct to ‘ping back’ when faced with the discomfort of the margins is something we are also yet to learn. For us it has been a gradual journey away from our own constructs of security and bit by bit God is widening our mission field. But the pull of comfort is still very real. [personal example that can’t be shared here – ask us if you like!!!] . The intensity of yearning for conventional success caught us off guard. If we ask God to stretch us in the direction of the margins and become downwardly mobile we will mourn losses along the way but as we freely lay down our lives we find life in all its depth and fullness. Through the rest of that day God reminded me through the people I met that there’s nowhere else I’d rather be! My new aim in life is to be more like a blob of blue-tack which stretches to accommodate difference but then keeps its shape. Maybe to acheive this unusual aim I need to be uprooted from my own idea of what constitutes comfort and perfection and put my roots down somewhere that will call me on rather than pull me back. Confused? Looking at the target I’m aware that my identity has been shaped by the comfort and privilege I’ve experienced at the centre. Some of that has been a blessing that I don’t take lightly. But as Christians we don’t ‘belong’ anywhere on this diagram. By definition we are displaced people, refugees waiting to return home. Our deepest longings reveal where we are anchored. If I truly believe that the best is yet to come then the loyalty to values I have learnt at the centre can start breaking down. At the moment we are consciously pulling up physical roots and desiring a spirituality with deep roots to sustain us in an unfamiliar setting. Finally, lets look at this target picture in terms of depth with the centre representing the shore and the margins the open sea. Can we just take a moment to visualise a beach scene and dip our toes in the water. At the shore the waves break quickly, there is always something new and sparkly to catch our attention. Distractions are plenty and we have the choice to stay put. Maybe just talk about the time we went swimming or look at the shells that have been swept up on the beach. Wading in further is icy cold and it takes all our concentration to put one foot in front of the other. The current is strong and you must walk against it to go deeper but the thought of swimming pushes you on. As you go deeper there are pain barriers to get through as your whole body tingles with cold. The waves are bigger now and eventually you are swept off your feet and completely submerged. Time slows down and that few seconds feels like forever. You come up gasping for air but accustomed to the cold and feeling invigorated. The freedom of the open sea and doing what you were made to do has made the experience worthwhile! Now to swim!